1. 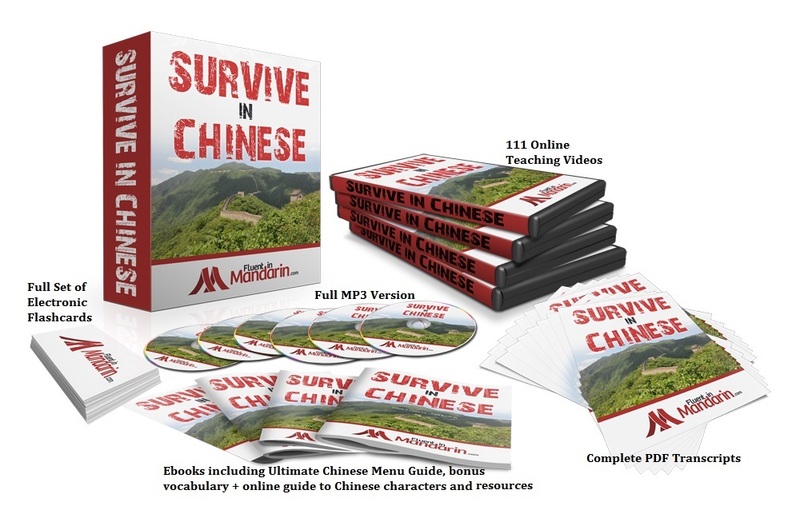 Survive in Chinese - my top-selling video course for beginners, where with the help of native speakers, I guide you through all the basics in Chinese that you'll need for everyday life situations. More than 111 videos - hours of detailed learning content. 2. Chinese Sentence Mastery - the course that builds on your foundation as a beginner and shows you exactly how Chinese sentences work, through 1500 Chinese sentence examples covering all kinds of everyday life and work scenarios, meticulously broken down character by character - complete with more than 8.5 hours of audio, and audio flashcards. 3. Chinese Culture Conversations - 30 detailed video and audio conversations in Chinese to take your Chinese listening to an advanced level, covering 30 different topics about Chinese culture. Every conversation is fully transcribed in Chinese characters and Pinyin and translated into English. 4. 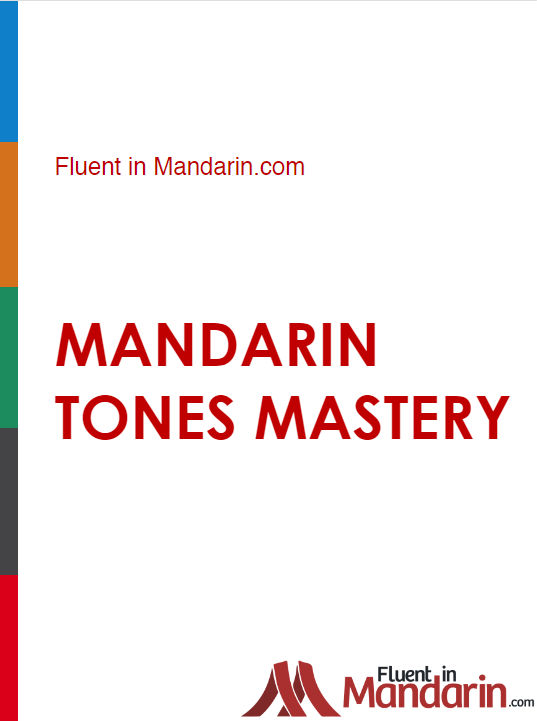 Mandarin Tones Mastery - the course that trains you to get the four tones right in Chinese, through detailed exercises and explanations, and answers all your tone-related questions. Learn to speak Chinese as it was meant to be spoken and get the tones right, every time. In the package, you'll also get the audio version of my Break Through Chinese Pronunciation course as a free bonus, so you can master all of the difficult sounds in Chinese. 5. 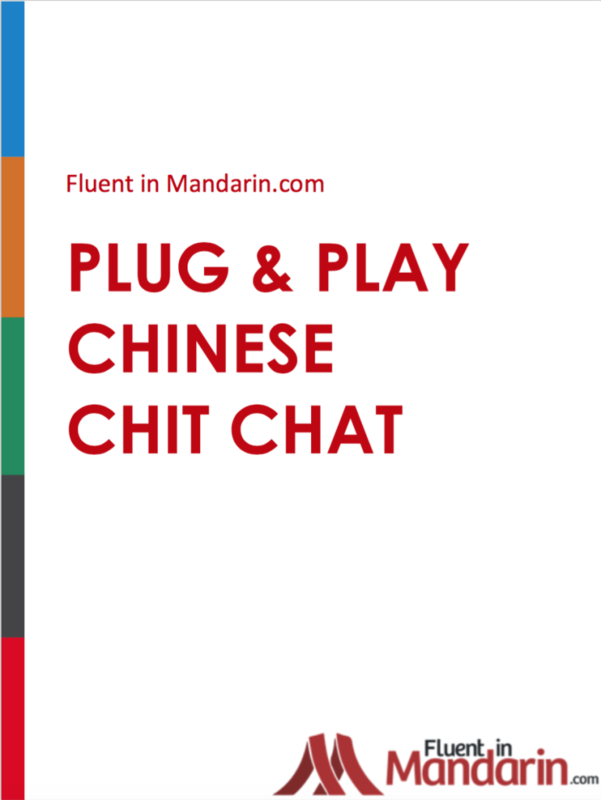 Plug & Play Chinese Chit Chat - An easy way to get started in Chinese - complete with ebooks in 14+ languages. The essential elements of everyday small talk, that you can piece together and get speaking Chinese right away! 6. Plug & Play Cantonese Chit Chat - Cantonese is the dialect of Chinese commonly spoken in Hong Kong and Macao. This is my 'plug & play' learning formula, but applied to Cantonese. An incredible amount of Chinese learning content, to take you right from a beginner to an advanced level. A huge saving of US$117! Survive in Chinese and Chinese Culture Conversations are online video courses with downloadable audio and ebooks. The other 4 courses are fully downloadable. Unlike other sites, there are no monthly charges and no subscriptions. A one-off charge is all you will pay. If you have already signed up for 2 (or more) of the courses and you'd like to take advantage of this offer, send me an email: [email protected] Unfortunately, this offer isn't open to learners who have signed up for just 1 course. 111 bite-sized HD learning videos organised into 23 units on different areas of life in China. Videos include authentic Chinese dialogues, concise explanations of key points, Chinese characters and breakdowns in large easy-to-read fonts, and dozens of interactive exercises to get you practising everything! Complete transcripts in Chinese characters, Pinyin and English, both in the videos themselves and below the videos in text form. You can also download the full transcripts as PDF files (with separate simplified Chinese and traditional Chinese character versions) that you can print out and take with you to revise from wherever you go. All the key phrases and the vocabulary from the lessons in a complete set of electronic flashcards. Just install the free software first and then you can study the flashcards from each unit individually. Works with PC / Mac and on Android phones/iPhone/iPad. Complete MP3s of all the material from the videos which you can download and put on any music playing device to listen to anywhere you are, to revise the content from the videos. Most courses just teach you fried rice and fried noodles and leave you to figure everything else out for yourself. I’m offering you PDF cheat sheets of the all essential characters for Chinese menus that you can take with you next time you’re eating out, loads of names of popular dishes with photos, MP3 audio and flashcards for everything, so you’ll finally be able to order for yourself! As well as the vocabulary you’ll be picking up from the video lessons, you’ll also get reference guides to loads of essential everyday vocabulary including foods, clothes, items around the house, parts of the body, countries, and cities and provinces in China, so you don’t have to look anything up yourself! You’ll also get the audio of all the vocabulary, so you can make sure you’re saying it all right. An introduction to how to go about learning characters, my 11 videos teaching you how to read 100+ of the most common characters in context, and all the guidelines, websites and resources you’ll need to help you understand Chinese characters. I’ve collected together a list of the absolute best resources you can find to help you learn Chinese online and offline, based on years of personal experience, so you don’t have to. You’ll find all the best Pinyin and pronunciation helpers, dictionaries, flashcard software, reading tools, places to find example sentences, and suggestions on how to find native language exchange partners and teachers. This guide is going to save you a lot of time! A huge collection of 1500 really practical example sentences in Chinese, English and Pinyin, covering all kinds of everyday life situations and grammar points (e.g. past/present/future) meticulously broken down character by character so you instantly understand what every single character in the sentence means. The complete audio version of the Mastery sentences recorded in an English-Chinese drill format (around 8.5 hours of audio in total), so you can follow along with every sentence, practice saying the correct tones in full sentences and test yourself on your Chinese speaking wherever you are. A 130+ page guide to the most important sentence structures and keywords in Chinese that you’ll need to create longer and more complex sentences, with full sentence examples, complete with Pinyin and English translations, so you can expand the scope of what you are able to say, plus audio recordings of all the content. 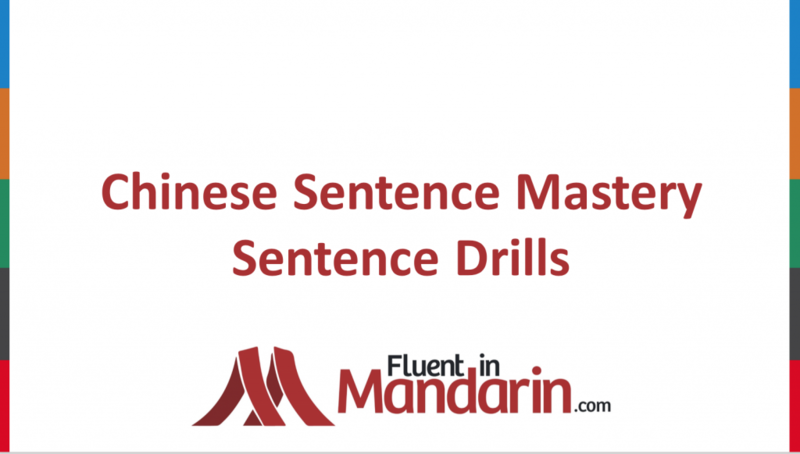 BONUS 1: With Mandarin Tones Mastery you'll also get the MP3 audio and the ebook for my course Break Through Chinese pronunciation teaching you all the difficult sounds in Chinese, including the 'x', 'q', 'j' and 'r' sounds - so it's like getting two courses in one! A downloadable 80-page PDF ebook of all the phrases and ‘blocks’ you’ll need to start having conversations in Chinese with characters, Pinyin and English translations, with everything broken down, plus extra cultural notes. BONUS: Plug & Play Chinese Chit Chat comes with an addition version of the books in traditional Chinese characters, plus full translations of the ebooks in an additional 14 languages - Arabic, Dutch, Farsi, French, German, Hebrew, Italian, Malay, Polish, Portuguese, Russian, Spanish, Ukranian and Urdu, so you can learn Chinese in your native language, or pick up the basics in an additional language, while you learn Chinese! Try your hand at Cantonese - one of the most widely spoken Chinese dialects in south China, including Hong Kong and Macao. The same basic content as Plug & Play Chinese Chit Chat, but localised into colloquial Cantonese, complete with native audio. If you’re not satisfied with the package, just send me an email within 30 days of your purchase and I’ll cancel your account and give you a full refund, or you can keep the courses you like and I’ll refund you the rest. You don’t even have to give a reason. No hassle. No questions asked. I’m proud to say I’ve given a refund every single time I’ve been asked, as long as it has been within 30 days.